In Small Things Remembered » Afghan students in the United States during the 1930s. Afghan students in the United States during the 1930s. 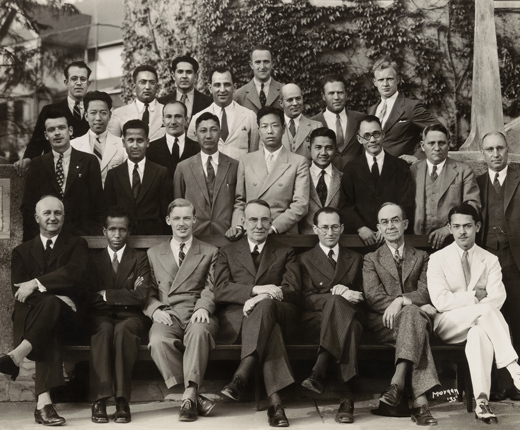 (top row, second from left; light suit and glasses). b. 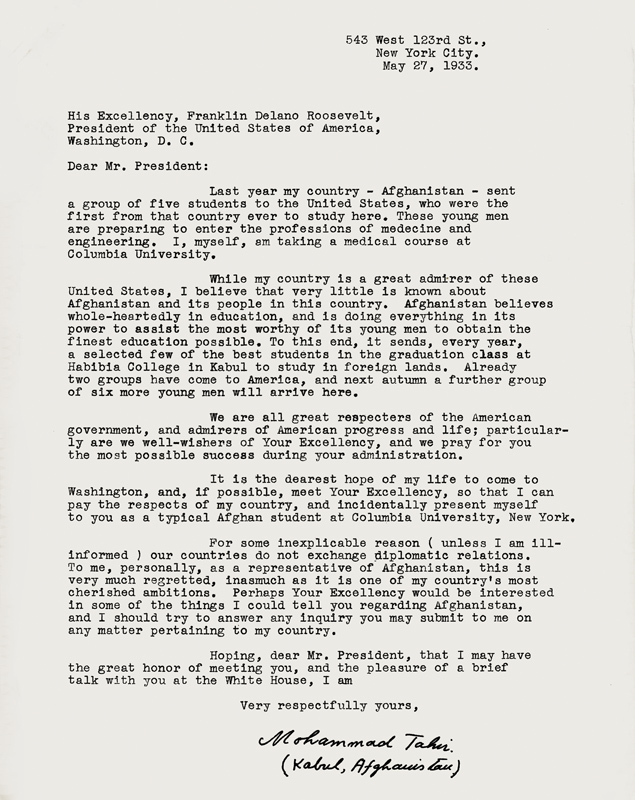 Letter from Columbia University medical student Mohammad Tahir to President Franklin D. Roosevelt. stage for decades of educational exchanges. Students often developed a great affection for American culture and participated in university clubs and societies. Many returned home to assume leadership positions. In this photo, the future Afghan Ambassador to the U.S., Mohammed Kabir Ludin, is pictured with members of the Cornell University Cosmopolitan Club. Courtesy of the Division of Rare and Manuscript Collections, Cornell University Libraries. RMC2005_0232. Photograph by George Frederick Morgan. 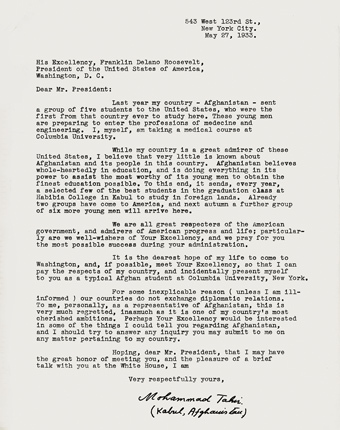 Document courtesy of the National Archives. Department of State Central Decimal File 890H.01/24; RG 59.